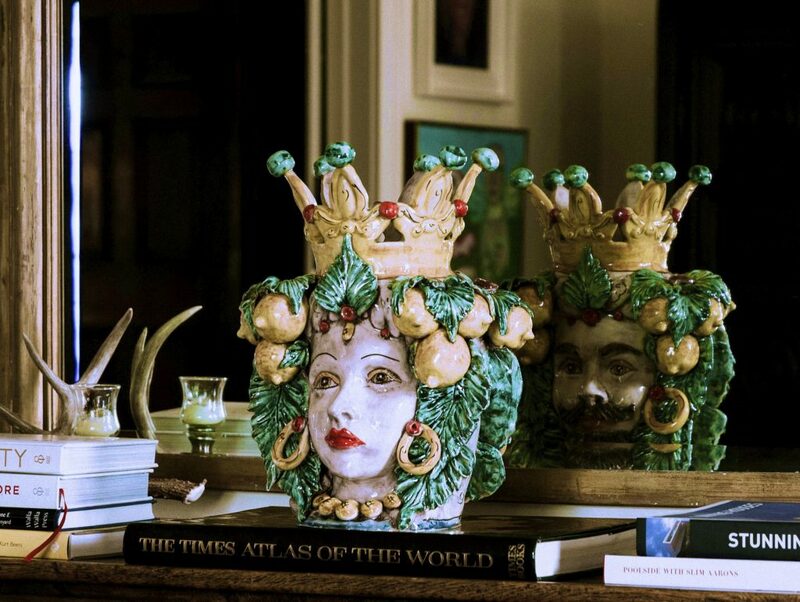 Here is the first in our series – Private Objects where we invite you to step inside some amazing Melbourne homes and view favorite design objects collected over time that represent their owners individual styles and personalities. Things that prompt memories of celebrated events, places travelled or private discovery. They are loved, timeless and considered and are never acquired based purely on price or the latest fashions and trends. They are the unique details that define. 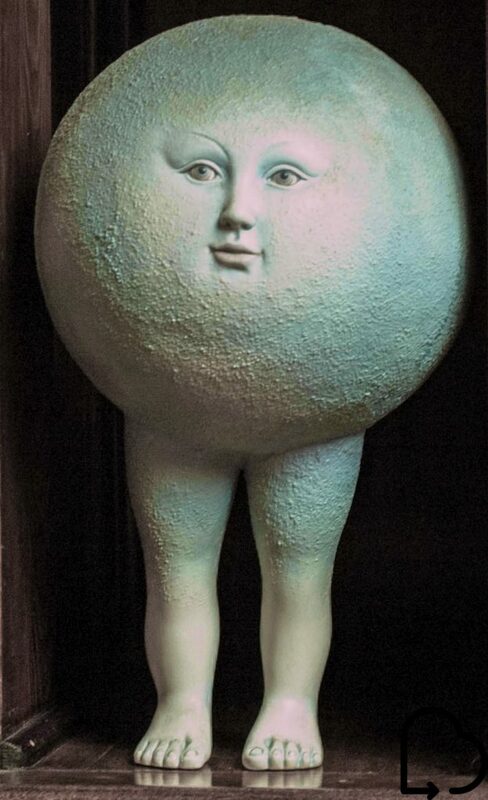 Today’s design objects include this mesmerising ‘moon man’ belonging to a well travelled Melbourne family, one owner being South American, moving here over 20 years ago to be with her Melbourne born husband. Set high above the street, their grand restored 1930s home is comprised of several beautifully proportioned reception rooms with enviable architectural features including high ceilings, internal French doors and rich timber paneling. 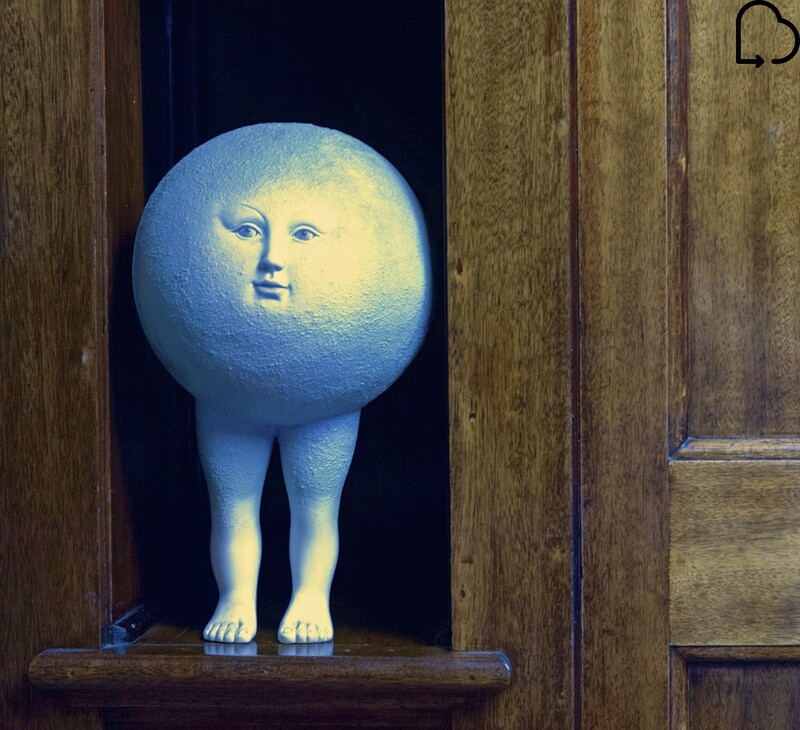 A nook in the entry lobby’s wall paneling, designed originally for the residences’ only telephone, now provides the perfect home for this adorable ceramic ‘moon man’, a gift 28 years ago from the owners sister. It is by Mexican artist Sergio Bustamante [ 1934-2014 ] who became well known early on for his paper mache folk art. His mystical themed works are much loved by the Mexican people and are often chosen as official Government gifts. Entering the dining room it’s hard not to notice this colourful vase, below, purchased on a trip to Southern Italy. But look more closely and you see a man and woman on opposite sides. 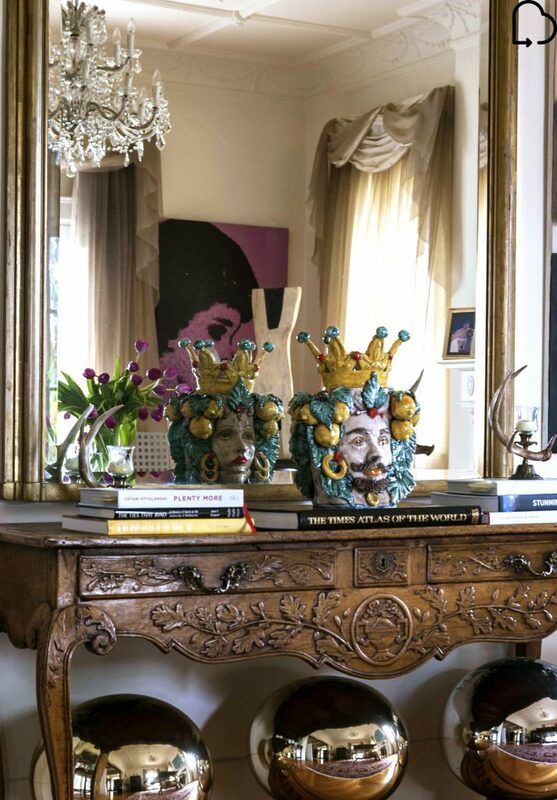 It’s cleverly positioned in front of the mirror to reveal both faces at the same time. The lemon leaves and fruit symbolize the southern Italian region. 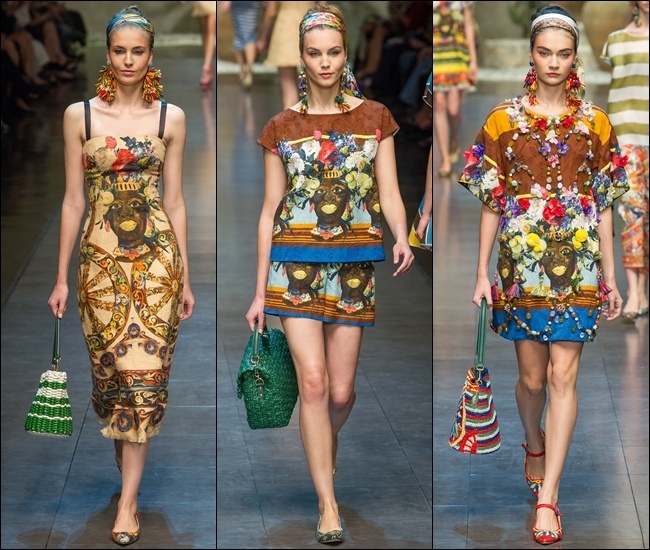 Very Dolce & Gabanna. The formal living room features two large contemporary white leather sofas on a colourful traditional carpet. 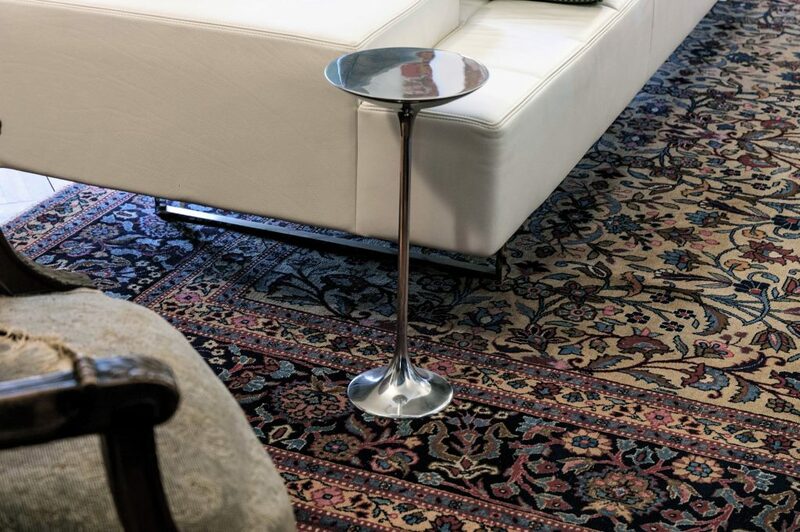 Contrasting in proportion are four small polished aluminum ‘Ping’ side tables by Giuseppe Chigiotti 2007 for Driade. Tiny, shiny, polished podiums for resting a glass. Through a doorway lies a cosy study complete with its own fireplace and large picture windows looking onto the front garden. Plump sofas and a book-laden coffee table are implied invitations to linger. There are two paintings by Eastern Kimberly indigenous artist Paddy Bedford that unexpectedly feature primary colours in a white frame. 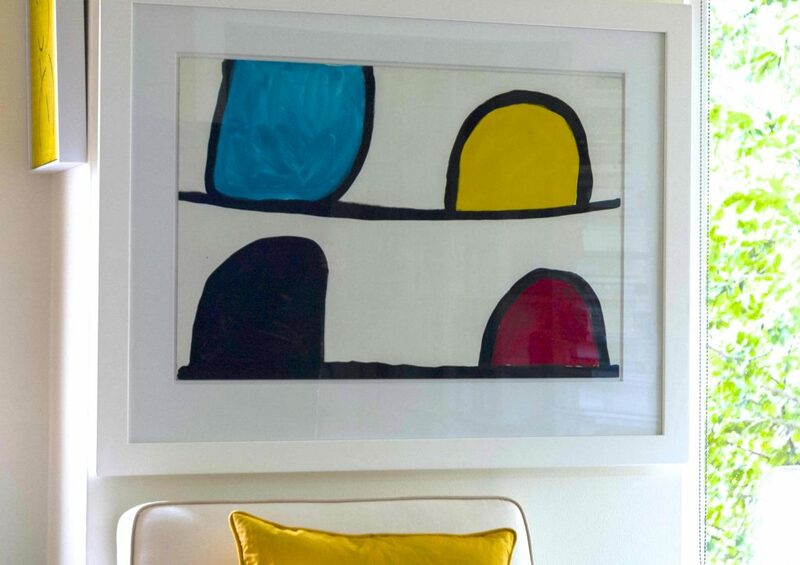 These colours are thoughtfully referenced in the scatter cushions. A small, hand carved timber bird on a clear perspex stand sits on the mantle. Lastly through to the home entertainment lounge that faces onto the pool and garden. Here there is a lesson in how to create monochrome vignettes. White is the theme. The key is that, although the objects are all white, they have been added over time and vary in proportion and type. 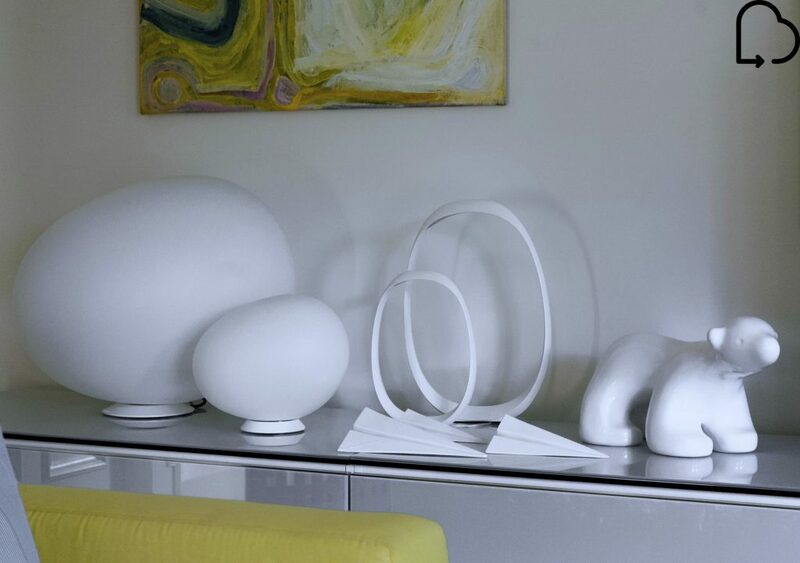 They sit on a low white opaque glass storage unit. The glazed ceramic polar bear by Scott Redford at Gould Gallery South Yarra was an anniversary gift. 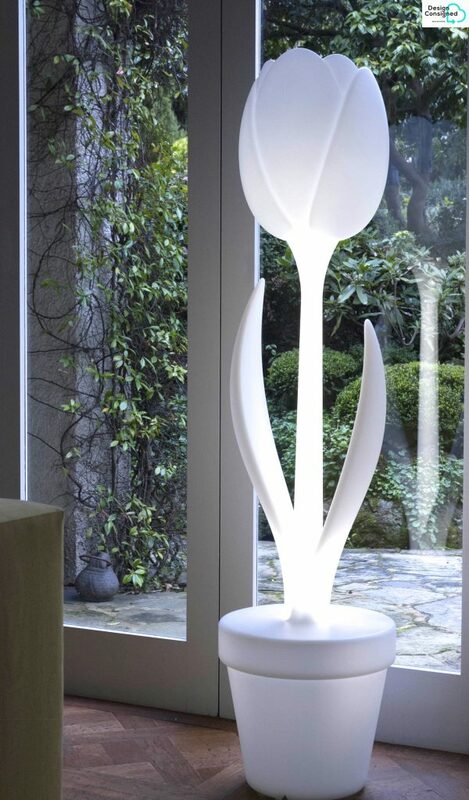 Completing the white story is this large moulded plastic indoor/outdoor Tulip floor lamp by Myyour Italy.